Johnson & Johnson ACUVUE® OASYS® with HYDRACLEAR® PLUS give you the complete comfort and performance you need from a contact lens. Whether you are long or short sighted, ACUVUE® OASYS® give exceptional relief if you spend long hours working on computers or in dry, heated, or air-conditioned environments. 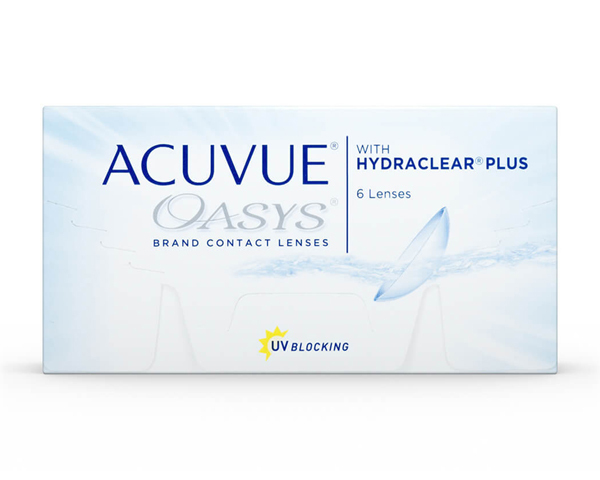 You can wear and remove ACUVUE® OASYS® with HYDRACLEAR® PLUS lenses daily and change for a fresh pair every two weeks. Now at Specsavers' amazing value for money prices too.